WASHINGTON: Jeff Carter is leaving his post as chief of public affairs at the US Marshals Service for a senior position at the Department of Homeland Security. Carter is exiting the Marshals Service after four years on the job to join DHS as director of communications for the undersecretary of management. His first day at DHS is August 15, reporting to Vince Micone, chief of staff for DHS undersecretary for management Rafael Borras. Acting deputy chief of public affairs CeCe Gwathmey will run the US Marshals' public affairs office on an interim basis, said Carter. In addition to a stint as chief of media relations for the US Coast Guard, Carter has also worked at DHS. 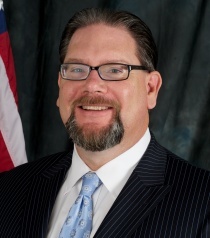 He has served as the department's director of strategic communications and public affairs for the National Protection and Programs Directorate and press secretary for the National Incident Command. The move comes as the US Office of Special Counsel is investigating why the post at the antiterrorism agency was vacant. A complaint filed with the US Office of Special Counsel alleges that since Borras took over as undersecretary last year, more than a dozen employees who worked for his predecessor, Elaine Duke, were transferred elsewhere to make room for new staffers, according to the source. Carter's predecessor, Larry Orluskie, claims in the complaint that he was demoted to a post in DHS' chief human capital office in April due to the reshuffling, according to a source familiar with the complaint. Orluskie is believed to be the only communications officer claiming wrongful displacement after Duke's departure, the source said. In the complaint, Orluskie says he is seeking to be reassigned to a post that matched his duties in the undersecretary's office. Marsha Catron, a DHS press officer, confirmed that Orluskie was “assigned” to the role of public affairs specialist at the Chief Human Capital Office. She did not comment on the alleged complaint. Ann O'Hanlon, director of communications for the Office of Special Counsel, said she could not confirm or deny if an investigation is taking place, citing federal privacy laws. Orluskie did not return a request for comment. Carter said he counts Orluskie as a long-time acquaintance, and said that after he got the job, Orluskie offered his support. Carter said he did not go into details about why he left the job and said he is not aware of any pending complaint. In June, DHS' Customs and Border Protection Division said it was looking for agency help with a range of outreach efforts to increase public awareness.